Looking for the best crates for small dogs? Thankfully, it is a lot easier than finding one for, say, a giant breed dog! 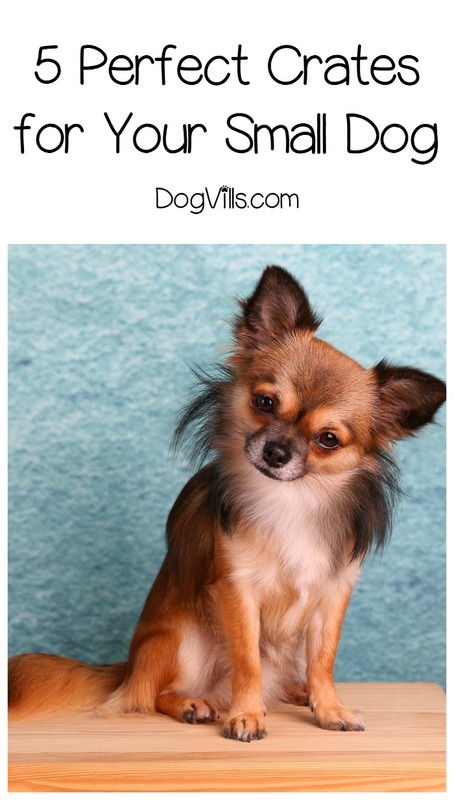 With a smaller breed, you have a lot more budget-friendly options. Of course, not all crates are created equal, and just because your pooch is a teeny, tiny guy doesn’t mean you can just pop him into a shoe box-sized crate and call it a day. He’ll still need plenty of room to turn around, stretch out and relax. After all, we want our dogs to think of their crates as their own little getaway, a safe spot to relax when we’re not home. Here are our picks for some of the best crates for small dogs. Related: Do My Dogs Need Their Own Crates? Midwest Pet Products iCrate Double Door Dog Crate – This folding dog crate measure 24” long, 18” wide and 19” high, making it ideal for dogs weighing between 11 and 25 pounds. The good thing about this crate is that it can be folded and taken along when traveling with your dog. The dual door design allows you to put the crate in-between two pieces of furniture in your home or sideways in your vehicle. 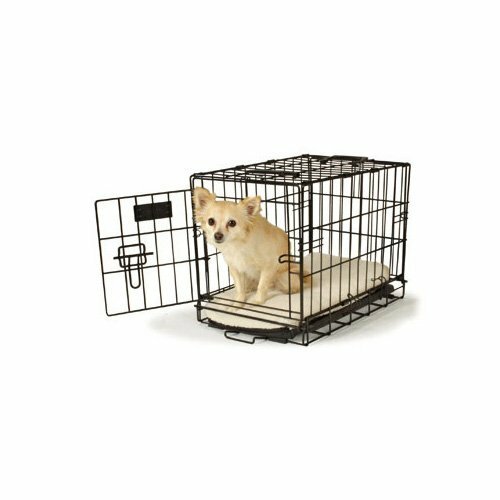 Carlson Deluxe Metal Small Dog Crate – The dimensions of this dog crate are 24” long, 18” wide and 19” high, perfect for dogs who measure up to 22” long and up to 16” long. The features of this crate include a bottom pan that can be easily removed for cleaning, a multi-point door locking system and folds and sets up in seconds. Casual Home Pet Crate End Table – The small-sized end table/dog crate measures 27.5” long, 20” wide and 24.25” high, suitable for dogs that weigh up to 25 pounds. This stylish pet crate also doubles as an end table, making it perfect for those who want a dog crate but don’t want to skimp on style. Petmate Ultra Vari Pet Kennel – The dimensions of this pet kennel are 21” long, 16” wide and 15” high, making it great for small and extra-small dog breeds. This heavy-duty pet kennel is portable, making it easy for traveling. It also features metal side vents for healthy air flow and an easy-open squeeze latch. Petco Classic 1-Door Dog Crate – This dog crate measures 24” long, 18” wide and 19” high, making it ideal for dogs weighing up to 30 pounds. This dog crate features a plastic pan bottom that slides out for easy cleaning and baked powder-coat finish on the exterior wire materials. These are just a few of the best crates for small dogs, in our opinion. As I mentioned above, finding smaller crates is pretty easy compared to finding huge ones! Do you have a preference for the best crates for small dogs? Share in the comments!